Group of ex-political prisoners SELDA (Samahan ng Ex-Detainees Laban sa Detensyon at Aresto) condemned the court’s decision to grant bail to former Pres. Gloria Macapagal-Arroyo. “Pres. Aquino was right, the Philippines is not a joke. Indeed, it’s not a joke to allow electoral saboteurs to be freed, while political dissenters are the ones imprisoned,” SELDA secretary general Angelina Ipong said. Ipong said that the Aquino government doesn’t the nerve to push through with charges against Arroyo, saying it has always been “a lip service” when it comes to holding the former president accountable. “This government has no real sense of justice. It cannot even arrest Palparan. Worse, it cannot own up to its own human rights record. In fact, Malacañang has to deny on the existence of political prisoners to claim it is a defender of human rights,” Ipong said. The group successfully ended the week-long fasting and hunger strike of political prisoners in the country. Almost 700 prisoners nationwide participated in the fasting and hunger strike from July 16-23, and ended on the day of Pres. Aquino’s State of the Nation Address. Leading the hunger strike and fasting are political prisoners from the Special Intesive Care Area (SICA) at Camp Bagong Diwa in Bicutan, National Bilibid Prisons Muntinlupa, Camp Crame, Manila City Jail, Nueva Ecija Provincial Jail, Isabela Provincial Jail, and Aurora Provincial Jail. “The unabated incidence over the last couple of years of government critics, activists, and revolutionaries being arbitrarily arrested or abducted, tortured and slapped with fantastic non-bailable criminal charges, attest to how seriously such policy of political persecution has so far been put to actual practice by the present dispensation,” Acosta said in a statement. Solidarity fasting activities in Danao City Jail, where political prisoner Ramon Patriarca was previously detained. Patriarca is now at the Camp Lapu-Lapu in Cebu, where he continues to protest his illegal detention in the stockade of the AFP-Central Command. Outside the jails, activists who participated in the solidarity fast in Iloilo City wore the orange prison uniform and acted like political detainees in a make-shift prison jail along Plazoleta Gay in Iloilo City. In Mindanao, inmates simultaneously held noise barrages alongside their hunger strike, to dramatize their protest, including the Compostela Valley Provincial Rehabilitation Center, Misamis Oriental Provincial Jail, Agusan Sur Provincial Jail. Ipong said that particularly in Compostela Valley, more than 500 inmates who participated in the hunger strike are non-political prisoners who supported the plight of the political prisoners for their freedom. “We thank the non-political prisoners who participated in the hunger strike, believing that political prisoners should not be in jail because of their political beliefs,” Ipong said. SELDA criticized Pres. Aquino of his silence on the plight of the political prisoners or human rights in his SONA, saying that the government is blatantly covering up the existence of political prisoners. “He has the gall to tell the nation that he is a victim of Martial Law, but repeats the same fault of criminalizing political dissent. That could only mean that Malacañang is really sweeping under the carper the issue of political prisoners,” said Ipong. The blatant disregard on the plight of political prisoners will not, however, tire them to continue with the call for freedom. This Monday, (July 16, 2012), I am joining more than 360 of my fellow political prisoners all over the country in a nationally-coordinated fast to once again call on the Aquino Government to release all political prisoners through a general, unconditional and omnibus amnesty. This should also remind the Aquino Government of its commitment to free all political prisoners in accordance with Part III, Article G of the GPH-NDF Comprehensive Agreement on Respect of Human Rights and International Humanitarian Law (CARHRIHL), which states that the government ‘shall abide by its doctrine laid down in People vs. Hernandez (99 Phils. 515, July 18, 1956), as further elaborated in People vs Geronimo (100 Phils. 90, October 13, 1956), and shall forthwith review the cases of all political prisoners or detainees who have been charged, detained or convicted contrary to this doctrine, and shall immediately release them’. 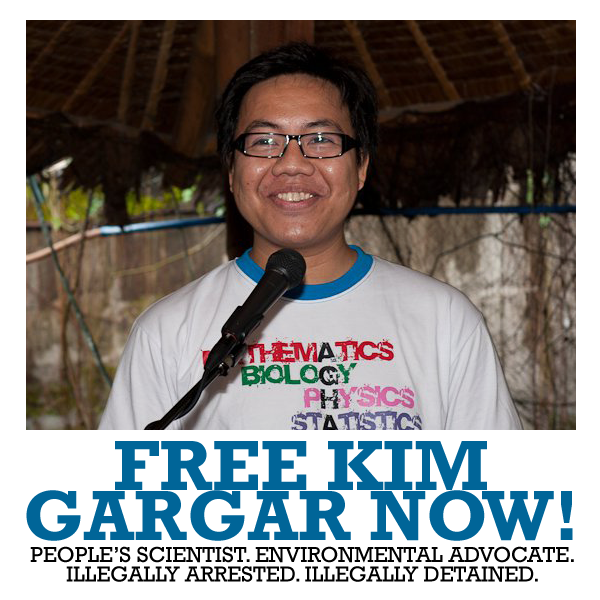 The Aquino Government’s treatment of political prisoners has been dismal. It has refused to fulfill its promise in December 2010 to start the process of freeing all political prisoners by conducting a ‘thorough review’ of the circumstances and cases of political prisoners. Worse, even without conducting the said review, it declared in September last year that there are no more political prisoners in the country. Yet, it continues to persecute the likes of detained NDF Consultant Alan Jasminez, who was treacherously transferred to Camp Bagong Diwa in Taguig City last June 29 for exposing the poor jail conditions and the illegal activities of the U.S. Federal Bureau of Investigation (FBI) at the Camp Crame Custodial Center. This is why the GPH-NDF Joint Statement issued from Oslo, Norway last June 15 offers not much hope. The GPH has simply not done enough to comply with its commitments in the many bilateral agreements it forged with the NDF. One cannot but suspect that the June 15 Oslo initiative was meant only as another ‘pogi point’ for the president’s State of the Nation Address (SONA) next week, or, as a mere posturing preparatory to ending altogether the GPH-NDF peace negotiations consistent with his Oplan Bayanihan counter-revolutionary program. 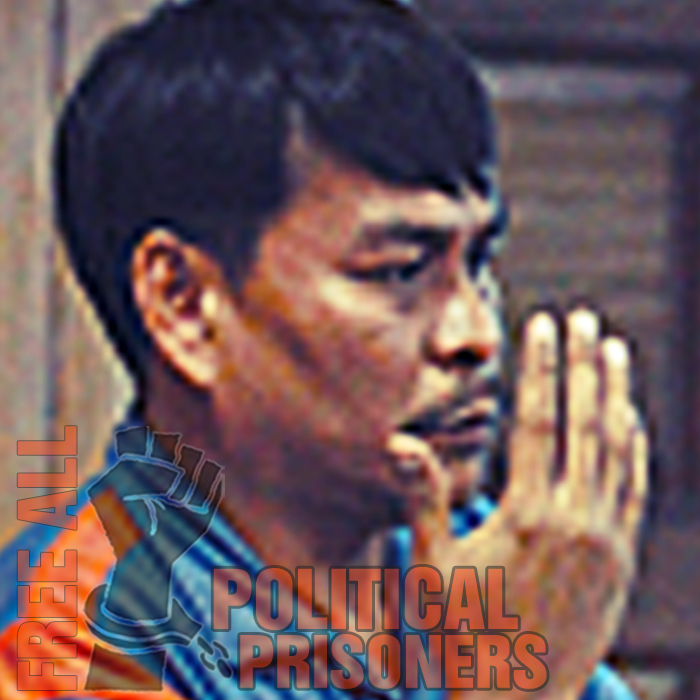 Process the release of all political prisoners towards a general, unconditional, and omnibus amnesty proclamation, consistent with the GPH-NDF CARHRIHL and the Hernandez Political Offense Doctrine. Immediately release on humanitarian grounds some 60 political prisoners who have been sickly for sometime now due to deplorable jail conditions. Surface abducted-and-disappeared NDF consultants/personnel Leo Velasco, Prudencio Calubid and Rogelio Calubad. Appropriately punish human rights violators ex-President Gloria Macapagal Arroyo, ex-General Jovito Palparan, and their murderous gang. Resume the GPH-NDF peace negotiations based on past bilateral agreements, and focused on the draft GPH-NDF Comprehensive Agreement on Social and Economic Reforms (CASER).